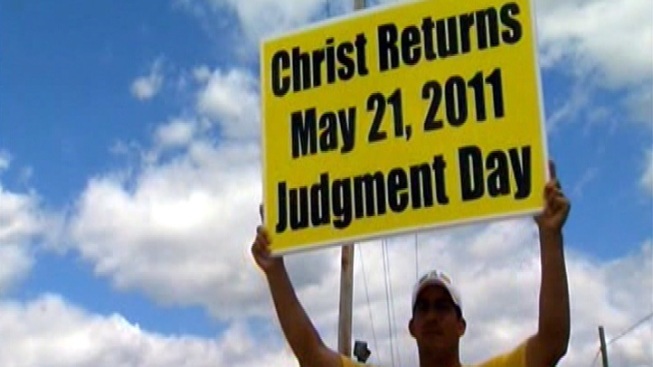 Volunteers from the Oakland-based Family Radio organization are spreading their message – Judgment Day is coming. Family Radio’s Harold Camping said he came to the date through a series of calculations based on the biblical story of the great flood. According to his prediction, a massive earthquake will hit the world at sunset Saturday, May 21, 2011. Christ will come – and only those who believe in the prophecy will be spared from death. “There are those who talk about it... but those who set a precise date are rare for understandable reasons,” George Washington University religion professor Dewey Wallace said. Over the past few months, group members and volunteers have left their jobs and even their families to travel the world and spread Camping’s message. Volunteers in the Philippines spent last week holding signs and handing out pamphlets. “May 21, 2011 is not a prediction,” said Joel Abalos, a Family Radio volunteer in Manila. “It is as a declaration from the word of God." Most people we spoke with Friday said they don’t believe the end is near, but there are pages upon pages of predictions online. Some poke fun at the prediction, while others tout post-rapture parties, planned around Washington for Saturday night. Predictions like this one, though, are nothing new. Professor Wallace points to an 1844 prediction of the second coming of Christ, and others made since then. “I’m confident if the world does not end on that date they will reformulate and go on,” Professor Wallace said.